"All because the lady loves Milk Tray." "Perhaps now you'll be more tolerant of slow tractors on the road. Especially the ones towing a muck spreader." Cheers! Here's mud in your eye. "Jump in then, or don't you want a lift?" " ... and here's the only survivor of the Kilauea Rally here in Hawaii." "Rally driving scares the sh*t out of me." People shouldn't put down the mud races. 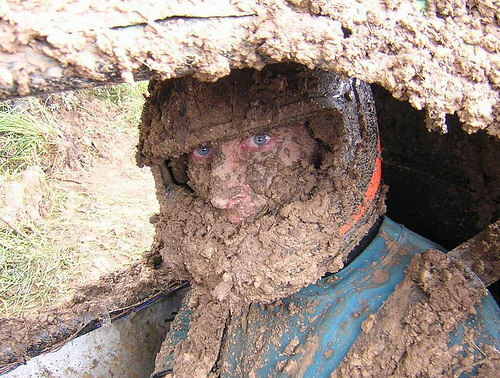 Because he didn’t drink and drive, he didn’t get mud in his eye. "Police are reporting a car accident involving the pedestrian Boris Johnson..."
"We rally need to get these windows repaired." If pigs could fly...oh wait, they can and you're worried about seagulls? I hate these underground car parks. "Will Sir be looking for our full valet service today?" "Steve, are you still in the carzee?"